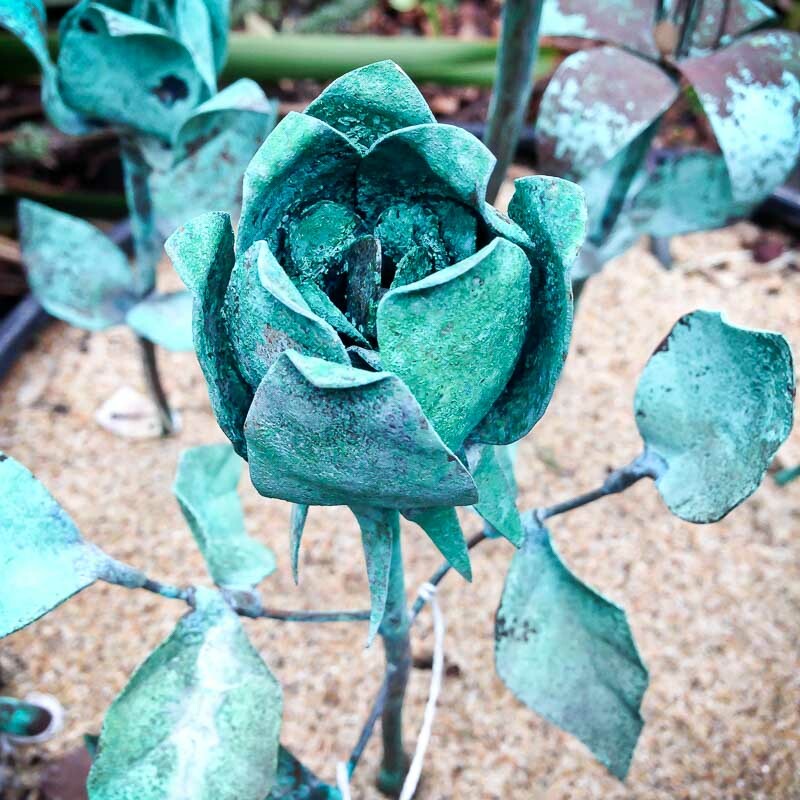 This patina rose is one of several flower garden sculptures made by an artist and shown at the Graton Gallery. Although made from metal, the leaves and flower petals have a delicate appearance. The patina color is striking and beautiful, harkening back to an earlier time and representing time's affect on things.